QUICK MOVE IN - Price Has Been Reduced $20,000 For Quick Sale!!! Pavilion Villas - introducing your SOME DAY HOME, today.This is what HAVING IT ALL looks like. Introducing Pavilion Villas by Berkeley Homes. 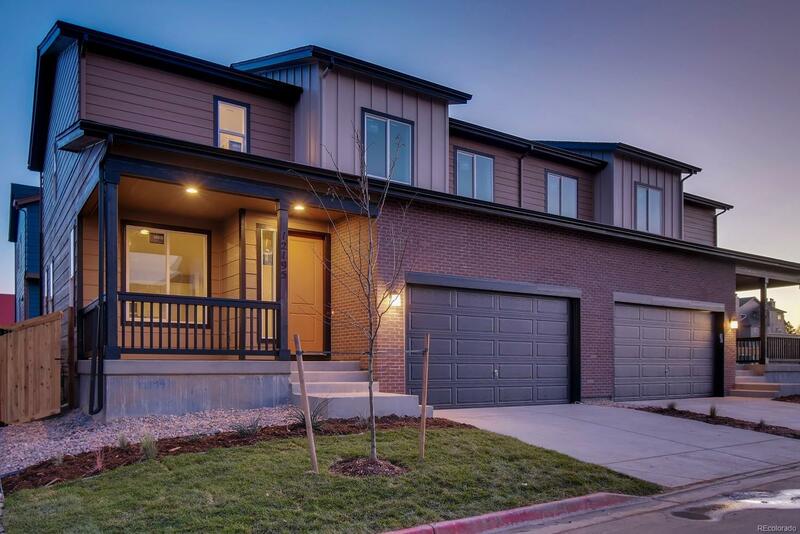 A new community of 34 paired homes with everything you've hoped for. 3 bedroom home features open floor plan with site lines from entry through kitchen with dine-in island. Separate dining and spacious great room. A/C.680 S. F. in full basement, 2 car garage and fenced patio area. Adjacent to the kitchen is a private dining space with access to the outdoor area. Hop on nearby I-25 and be downtown in 15 minutes or at DIA in only 25. Even better, walk just four blocks to a future commuter rail station that can whisk you directly to Union Station. Nearby shops, restaurants, schools and East Lake Park and Nature Preserve. Pictures shown are of the model home with same floorplan and are used to show layout only. Finishes will vary. Taxes will be adjusted in 2019 to reflect new home.